It all began with some sort of Xbox Live API leak, which apparently included a game code-named Wisdom set in Albion being developed by a studio based in the UK. So naturally it was thought that this could actually be Fable IV or whatever the next game in the series might be. That’s a stretch, without question. But this is where things even more intriguing. Don Williamson, a former lead engine programmer at Lionhead, tweeted out “Mmm ok, having no inside information, I totally know who’s building Fable 4 now. Interesting choice…” He has since deleted that tweet for whatever reason. And who could that developer building Fable IV be? At the moment the popular guess is that it’s Playground Games, who makes the Forza Horizon racing games for Xbox. They announced last year that they were working on their first non-Forza game, a AAA open-world RPG, and have been hiring for this project. 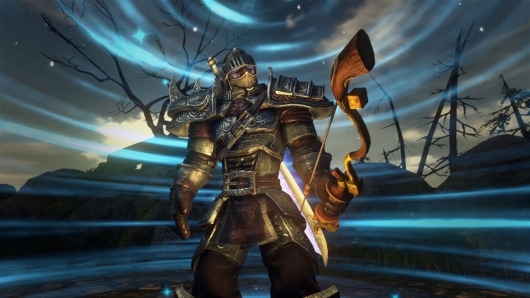 The thought of a studio known only for racing games making any open-world RPG, let alone Fable IV, might seem strange. But all studios start somewhere, and many evolve and create different things. The best example of this I can think of is none other than the maker of some of the best open-world RPGs ever created: Bethesda Softworks. Before they began the Elder Scrolls series in 1994, they made games like Wayne Gretzky Hockey and NCAA Basketball: Road to the Final Four. Even after they made The Elder Scrolls: Arena, they made PBA Bowling games, racing games like IHRA Drag Racing, and more. Again, none of this confirms that Fable IV exists. But it would be pretty silly to let such a popular IP sit on a shelf, rotting away. Even with the Fable Legends disaster. It would be damn strange to see one being made by anyone but Lionhead, but perhaps the new eyes of a young studio like Playground is just what the series needs.